A simple, sleek running short built for the alpine athlete. 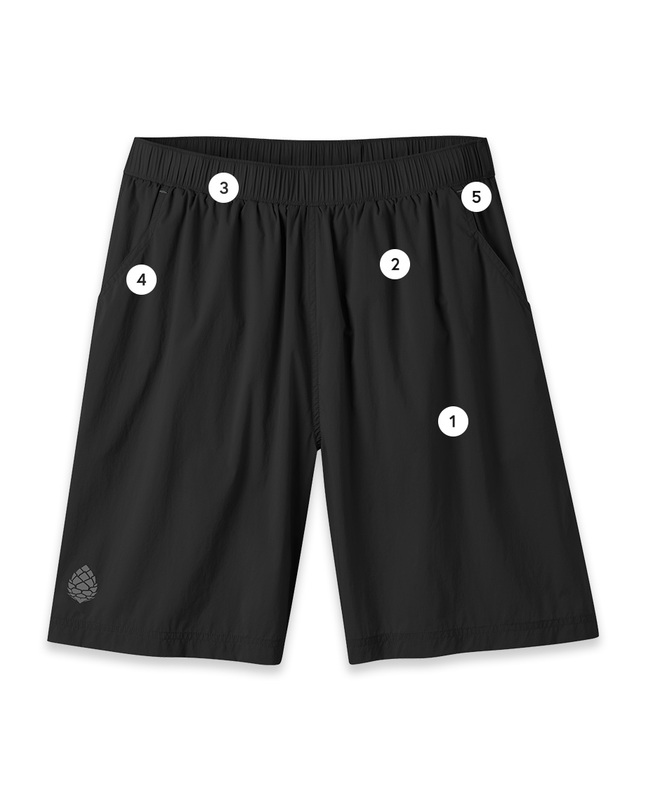 The Second Light shorts are constructed with a quick drying, lightweight Meridian™ ripstop nylon and feature hand pockets, a zippered security pocket and an inner brief that keeps you comfy and cool. If you want one pair of high output, active shorts, look no further. Meridian™ ripstop nylon is super fast drying while the S.Cafe® polyester inner briefs are comfy and cool. The Second Light comes equipped with two hand pockets, a zippered security pocket in the back for a gel pack or key, and a fixed, low-pro waistband that works well under a pack's hip belt when the trail calls your name. It's also naturally packable— at only 4 oz. you can stuff a pair in your running shoes while traveling - perfect for weekend getaways where plans can change from trailhead to poolside. Sits at the hip with an 8“ inseam. S.Cafe® is a lightweight pique knit designed to wick moisture and dry quickly. The fiber is created from recycled coffee grounds, which maximizes odor control and drying time. Sleek mountain running shorts for the alpine athlete.